I’ve been meaning to upgrade my card case. The old one has seen better days. When I first saw this beauty, I knew it was the one. A sleek black crocodile embossed leather with shiny silver hardware. There are five slots, two more than my current one, and it just exudes such a nice level of sophistication. Plus, it goes so well with my black croc-embossed iPhone case. Saint Laurent always seems to get me. Modern edge meets classic femininity. 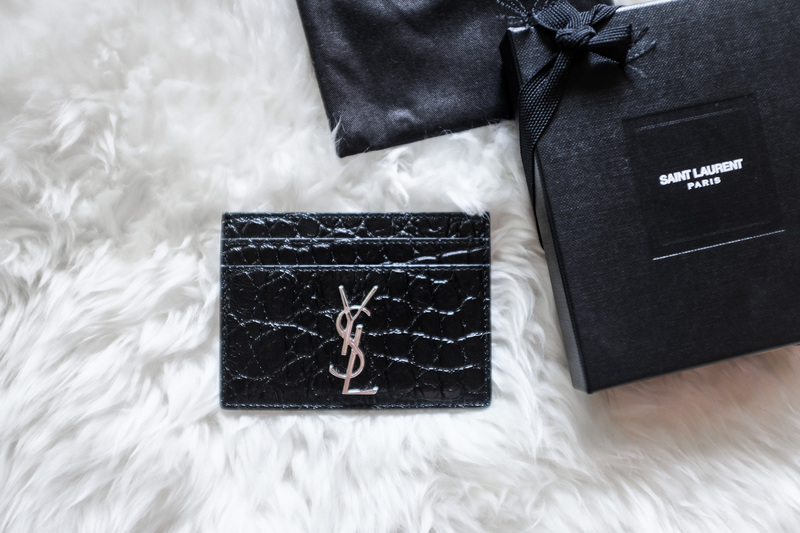 I’m so happy to add this into my little YSL collection. P.S. I filmed my first unboxing video!